Artery are in the finals against the other tube devices on the market. But does the Baton race to victory or will Artery stumble on the finish line? Artery are one of those companies that are hugely popular to their fans but not really the mass market appeal that some others claim to be. 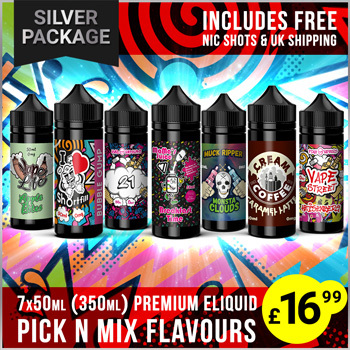 They always make really good products, including the Artery pal recently released so the Baton looks to be a rival to a lot of semi regulated tube mods on the market. Adding the Artery quality, the Baton looks the part and feels the part, but does it perform as well? 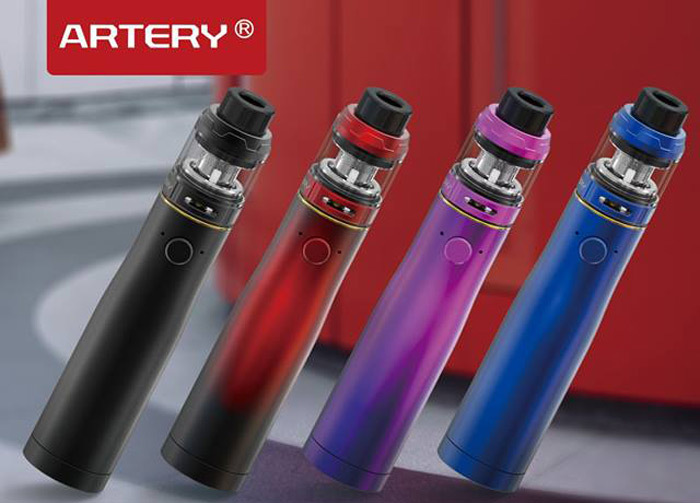 There is not as much competition in the semi regulated market compared to the big internal battery hitters that are popular so Artery have a chance to lay claim to being the best in the market. Does it grasp the baton (pun intended) and run or do Artery fumble at a relatively clear final third? Before we get into that, let’s go through all the details first. 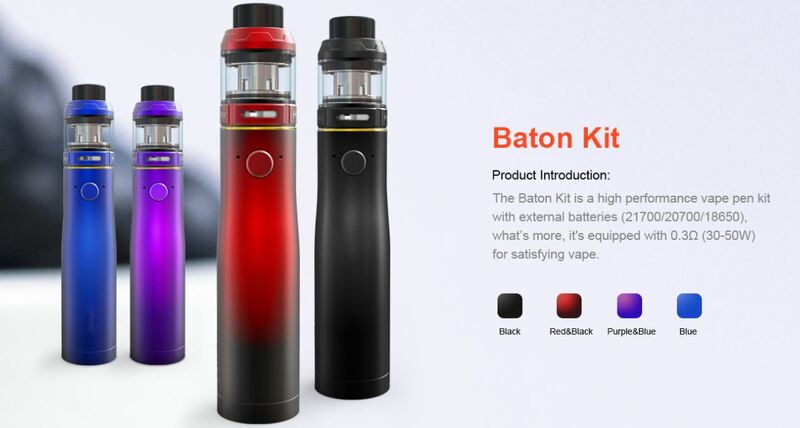 The Baton is a semi regulated tube mod style device compatible with 21700/20700 and 18650 (with adaptor) single batteries. The semi regulated means that the device protects against basic battery failures to provide safe vaping and it regulates the power to a single current flow. In the case of the Baton, it delivers 50w to the sub ohm tank packaged at .3 ohms and fires down to .15 ohms at 90w. The device is a tube, with a front fire button and bottom battery screw cap to secure the battery inside. 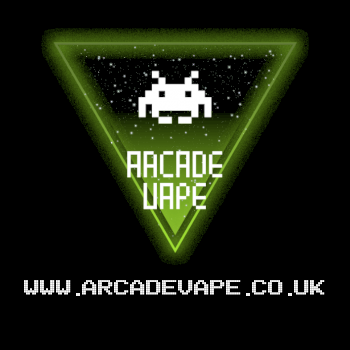 The top 510 pin fits 25/26 mm atomisers and there is indicator lights around the button to display battery level. Starting at green for full, amber for half and red for low battery, indicated by two lights either side of the fire button. Finally 5 clicks of the fire button turns the device on and off with no lock button function. The Hive S tank packaged with the kit is the mini version of the previous Hive tank Artery released. It comes in 2ml capacity (with 4 mil bubble glass in box) with a 510 pin and 25mm in diameter. It has a replaceable 810 drip tip and has a top screw off cap with two large fill-holes inside. The mesh coils come in at .3 ohms, recommended 40w-60w. It has bottom adjustable airflow and colour matches the Baton underneath. Finally the Hive S comes compatible with Smok Baby beast coils which increases the choice available with the tank. The first thing I can say about the baton is that it feels extremely high quality in the hand. It is a solid metal tube device and from the feel to the weight, it feels rather high quality. 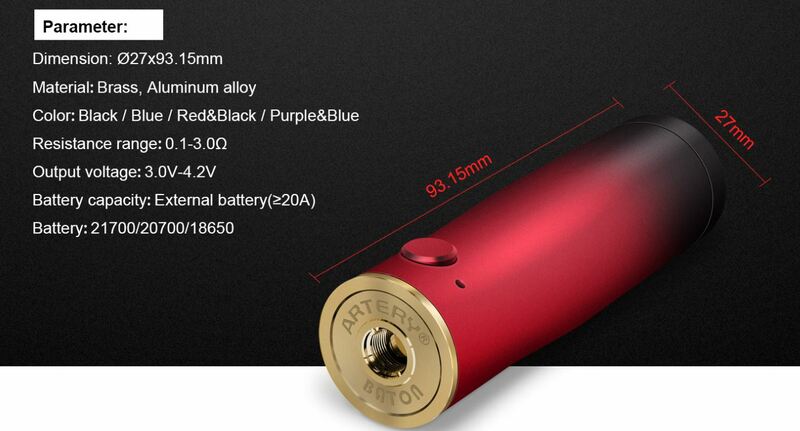 Most of the weight will be carried by the battery inside so Artery have got the design of this spot on and the gold offset on the top and bottom add to the beautiful look of the device. The fire button has a nice soft click to it and the on off functionality is really responsive, with the device really fast firing as well. Battery life is actually really good with a single 21700, with around 3-4 hours with regular use which is quite good compared to a single 18650 device. 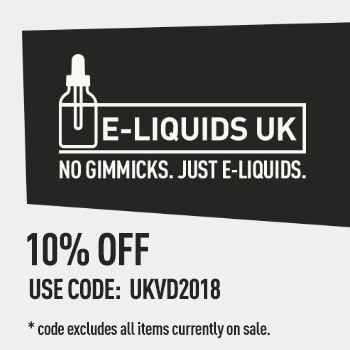 This is dependant on usage however, with the quoted time involving chain vaping during that period. The indicators are nice and bright showing the battery level extremely bold for a tube device. In daylight also they are still quite clear which is always a good thing. The Hive S tank is not a bad little tank to come packaged with the Baton and will serve you quite well. Flavour from the coil at 50w is pretty good, bringing slight complexities to flavours and nice vapour production. Airflow is pretty good as well, with plenty when wide open and room to adjust where desired. The added 4ml bubble glass included is again a nice touch and gives you the extra capacity if required, keeping the small profile of the tank as the standard instead. To be honest with the Baton, there aren’t really many negatives I can offer for it. Superficially, the device widens as it slopes downward which may not appeal to some, who prefer a straighter device. 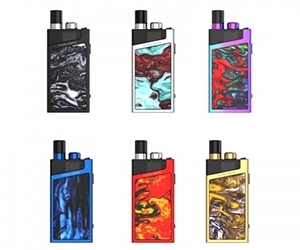 The semi regulated design may also put some people off who prefer the fully regulated style devices that are available, other than that, Artery have got the Baton pretty spot on here. In terms of the Hive S tank, although a decent little kit tank, it does come with a a few little flaws. The airflow despite wide, has a loud whistle when fully open and seems to offer far more airflow than the coils require. Chances are you will be using this tank at around half closed airflow to maximise flavour and vapour quality, or at least that is what I found. The tank can warm up a little when chain vaping, not hot but a little warmth which again may put some people off. Finally the tank is a little underpowered on the baton, with the recommended 60w improving the vape a little bit more, however it is still a nice vape at 50w. 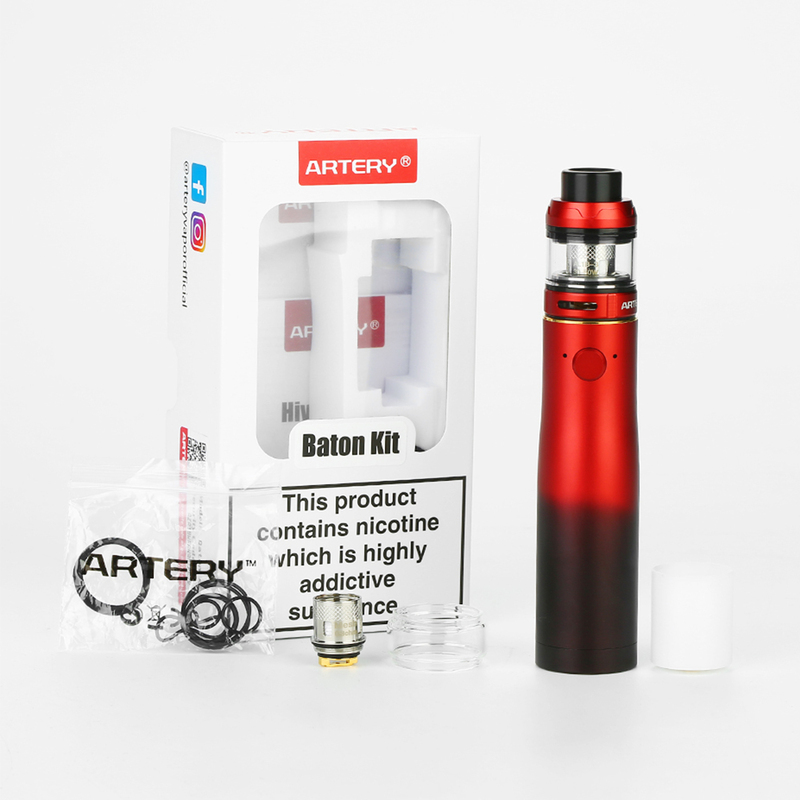 The Artery Baton kit is going to be one of those devices that will appeal to a certain area of the market with the semi regulated tube style. 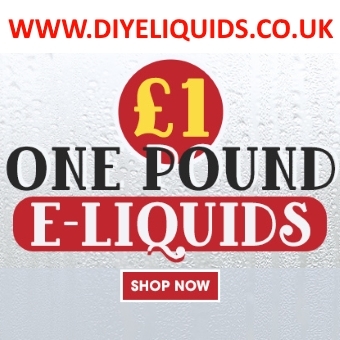 However for those people, this may well be a great little option, who want a regulated mechanical mod almost. It won’t be as unrestricted as a mech mod but then that is for the added safety features put into the device. 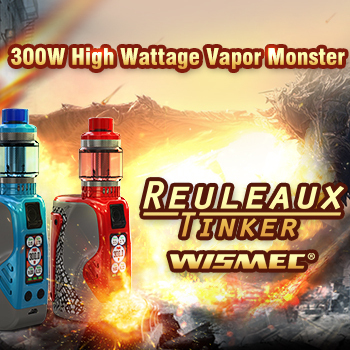 I think a lot of people who this will appeal to will want to put their own RTA/RDA on top to maximise the full 90w output but with the Hive S tank, it still can provide a nice vaping kit at the right price. 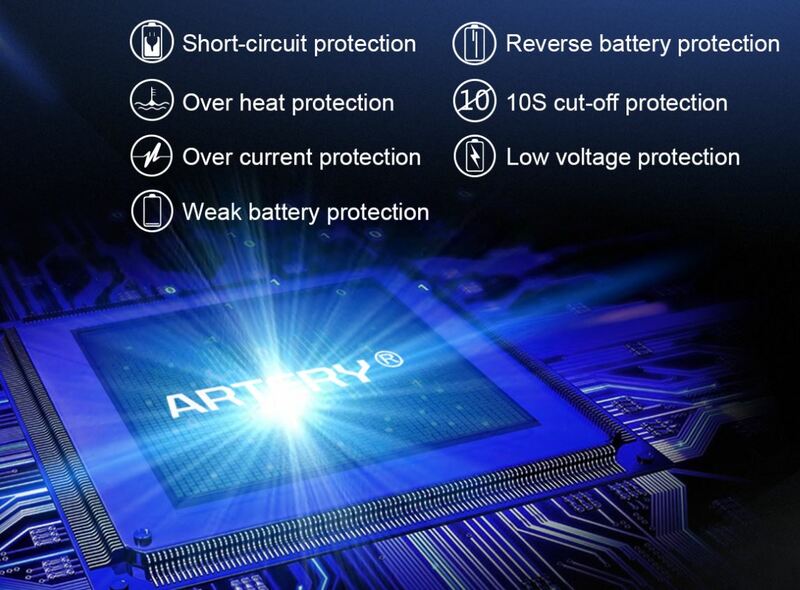 Artery have brought out something that despite the lack of mass market appeal, really does deliver in quality and it is well worth investing in if this style of device is what you are after. The Hive S tank isn’t as high quality but then the true benefit of a device like the Baton will come from building your own. Artery prove they are worthy contenders in the tube mod race, and they could well be crossing the finish line with the Baton firmly in hand. Artery have brought a fantastic tube device to market that provides power based on resistance, battery protection and high quality design. The Hive S tank may not be a fan favourite but the Baton delivers in performance.